Chantal deFelice is a passionate autodidact with penchant for science, literature, history and travel. She manipulates material gathered from these sources of learning into tangible or experiential art: alternating between performing live video projections, composing audio soundscapes, and creating paintings on wood or ink drawings on paper. Themes such as metamorphosis, deep time & space, architectural decay and watery growth loop through the various media, connecting them in an overall study of life. 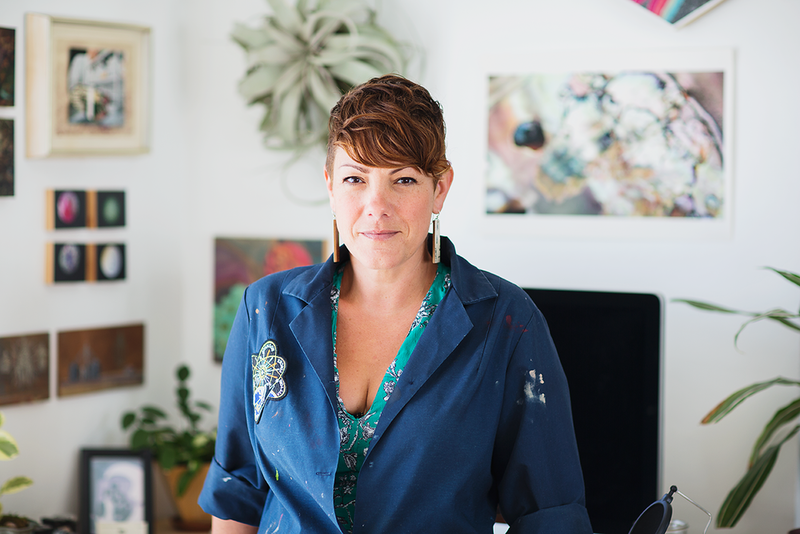 She was raised in Eugene, Oregon, graduated in 2004 from Laguna College of Art and Design, and currently works out of a studio in San Clemente, CA.